This gorgeous image is a close up of a dorado in the water. Dorados have a reputation for being magical in color. 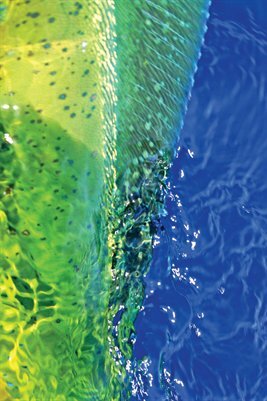 The vibrant colors draw the viewer in, and any angler can appreciate the beauty of a perfect day on the water. This poster can be hung as shown, in portrait orientation, or as a horizontal, landscape view image.